Toyne Careers | Toyne, Inc. Working for Toyne is more than a job, it is a career. Our entire team is dedicated to ensuring that the men and women who serve their communities receive the highest quality product available. It is our responsibility to ensure firefighters have the tools they need, and that these tools are built to take the call. Are you ready to be a member of our team? If you want to work at a premier fire apparatus manufacturing company, current openings at Toyne Mfg. are listed below. Follow the corresponding link to apply. We continue to accept applications for all other positions as well, so apply here today. Painters complete the paint preparation of the vehicles as well as the painting of the fire truck. Individuals in this position must be able to wear a respirator as needed to perform job duties. DA parts, removal of sharp edges of parts/material. Essential duties for this position include, but are not limited to, those listed below. The employer may alter or assign tasks as business conditions dictate. Grind welds and other areas of the vehicle as needed to prepare for painting. Maintain and clean paint equipment. Sand vehicle to prepare for painting. Perform buffing on basic items; i.e. smart access and smaller items. Use body filler and prepare area for painting. Use paint equipment to apply primer coat of paint. Complete taping and masking as needed for body work and painting. Caulk the exterior areas of vehicle to prepare for painting. Operate stationary and overhead crane as needed to perform job. Operate all equipment/tools as needed to perform job. Complete the final and advanced buffing as needed. Apply the finished painting on swinging doors, bodies and smart access components. Apply Zolatone as required by build specs. Apply Speed liner as required by build specs. Complete the interior caulking of the body as needed. Ability to read and use a tape measure to precise measurements. Ability to maintain attendance within company guidelines. Ability to retain and apply instructions. Basic math skills addition, subtraction, multiplication and division. Must be detail oriented and have the ability to adapt to a wide range of duties sometimes on short notice. Vocational training in body work/vehicle repair or equivalent experience. Ability to communicate and understand English. The following reflects the central functions for this position, but does not restrict the tasks that have been assigned based upon changing business conditions. 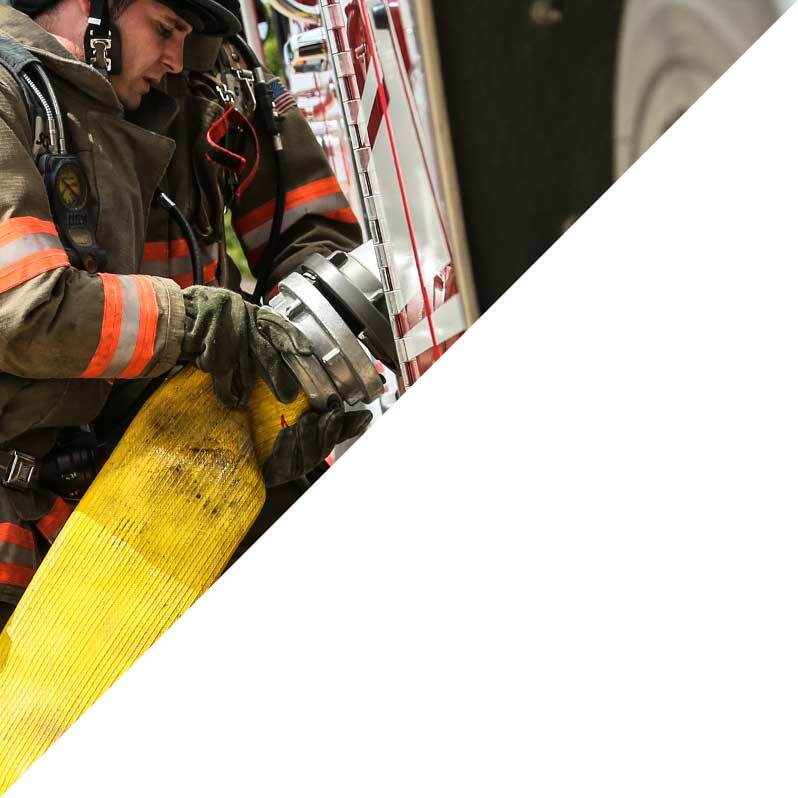 Utilize your experience and fabrication skills to build the best fire trucks in North America. Fabricator duties entail operating fabricating machines such as cutoff saws, shears, roles, breaks, presses, forming machines, and punch, that cut, shape, and bend metal plates ,sheets, tubes, and structures by performing the following duties. Frequent climbing up and down, crawling in and out of compartments. Must be able to lift 50 pounds repetitively and be in good physical condition. Must follow all company policy and procedures as stated in the company policy and safety manual. Including wearing safety glasses, ear protection and steel toed shoes. Applicants must be willing to work overtime. Also must be able to perform duties within standard times specified with no scrap or rework. Must also maximize time utilization through better planning. Drill holes in various types of metal. DA parts removal of sharp edges of parts/material. Fabricate catwalks, steps, grab handles etc. Operate fab shop and machine shop machinery and equipment. Observed machine operations to detect work piece defects or machine malfunction. Measure work piece dimensions to determine accuracy of machine operations. Remove burrs, sharp edges, rust, or scale pieces. Operate any equipment needed to perform job, performs related duties as assigned by supervisor. Operate any equipment or tools needed to perform the job. Assemble and install shelves & doors. Other duties as assigned Toyne was a job. Basic math skills: addition, subtraction, multiplication and division. Assemblers complete the final stages and finishing touches in the assembly of the fire truck accessories. This position may also assist the electrical team with wiring and/or preparation of wiring items. Must follow all company policy and procedures as stated in the company policy and safety manual, including wearing safety glasses ear protection and steel toed shoes. Drill weight to 4-5pounds, so strong arms/wrist needed due to force of drills and twisting motions often use. DA parts, removal of the sharp edges of parts/material. Drill and installation of rub rails. Install catwalks, steps, grab handles, etc. Install ladder brackets, pike pole, attic ladder. Install hose bed floor dividers. Install tarp hooks for vinyl hose bed. Operate any equipment or tools needed to perform duties. Assist Electrical team members as needed. Ability to use and read a tape measure to precise measurements. The following reflects central functions for position but not restricting the tasks that may be assigned based upon changing business conditions. Weld pipes as needed to complete installation. Perform pump and assembly per shop order. Effective use of conventional and precision measuring instruments. Perform process inspection to assure quality welds. Perform basic maintenance on welding equipment. Install pipes and drains on the trucks. Weld pump braces on plumbing. Cut and thread pipe with electrical pipe cutter. Apply valves and hoses using pipe wrench weighing 2-70 lbs. Ground work mostly, some crawling required. Upper body back strength needed for pulling pipe wrench and lifting heavy parts. Toyne is not in the business of merely building trucks. We are committed to the mission of serving those who serve neighborhoods across the nation, and to being a partner they can rely upon when they have to perform at the highest level.